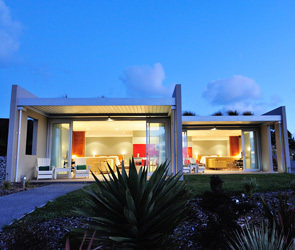 216 Luxury Accommodation on Auckland’s West Coast is situated high above Muriwai Beach. The property offers two architecturally designed identical guest suites. The guest suites are completely private, and are 50 metres from the main house with breathtaking, uninterrupted views up the coast. Images below show Suite One on the right and Suite Two on the left. 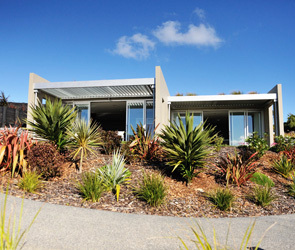 Our contemporary accommodation has been designed with sustainable practices in mind, providing an exclusive, high quality New Zealand accommodation experience. Each suite accommodates one couple. Architect designed suites have green roofs and Louvretec opening deck roofs. 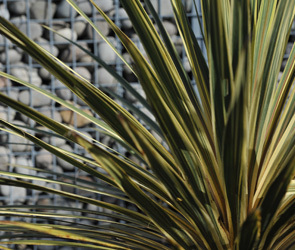 Wander through our secluded 2.2 hectares of landscaped native gardens. Guest suites have been built to maximise the stunning sea views and sunshine.